Are you searching for the Etisalat Blackberry data bundles plans? 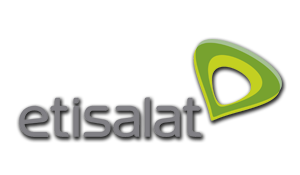 Today, i would love to share with you, the complete and most affordable list of Etisalat blackberry internet bundles plan for your smartphone. Please ensure that you subscribe to any of our blackberry plans and i promise you, that you certainly will enjoy the superfast speed etisalat offers. What’s more, you can even get an option to call at 20k/sec just by buying any of any of the Etisalat voice plans, you certainly won’t regret this!